The plank is one of the best, if not the BEST, bodyweight exercise. I like to recommend exercises that do not use or need any equipment — so you can do a plank anywhere, anytime. (I feel a “plank challenge” perhaps in the near future). Start on the floor on your hands and knees. Lower your forearms to the floor with elbows directly under your shoulders. Step your feet back and form a straight line with your body from your heels to the top of your head. Look down at the floor. Tighten abs and hold. Form is everything! 1. Don’t look forward or up. Keep the neck and spine neutral. 2. Allowing your hips to sag. Planks are held for time not reps. The goal is to hold the plank until your form breaks. Once form breaks, rest for a few seconds. Do a few sets — but remember they must be done with perfect form to be effective. 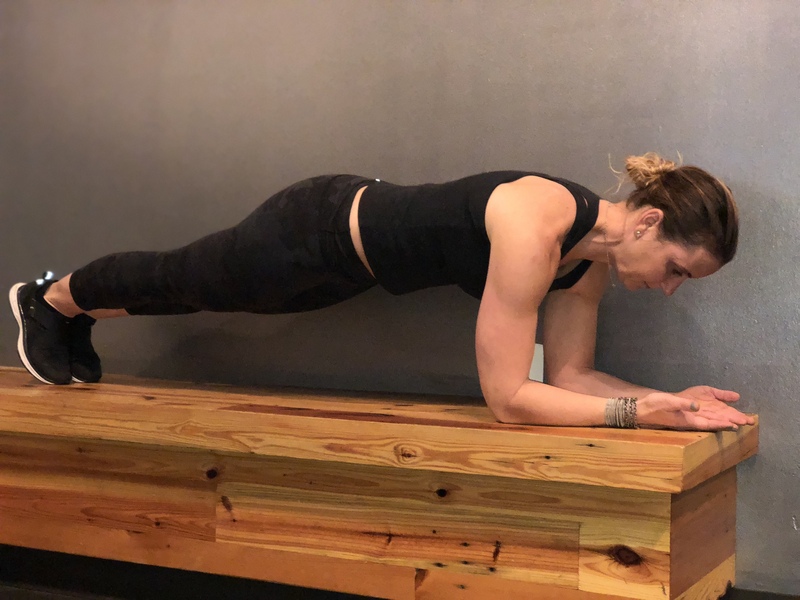 The plank is a highly effective move and works the deep inner core. The muscles used when you plank support and control your spine and pelvis. Some other of my favorite moves off the bike are: lunges, mountain climbers, and push ups. Tag me in your plank posts! - @Melissa.Kullen.